In addition to funding, state and local government plays an important role in enabling station construction and encouraging vehicle adoption. California Gov. Jerry Brown issued an Executive Order directing state government to help accelerate the market for ZEVs in California place 1.5 million ZEVs on California’s roads. 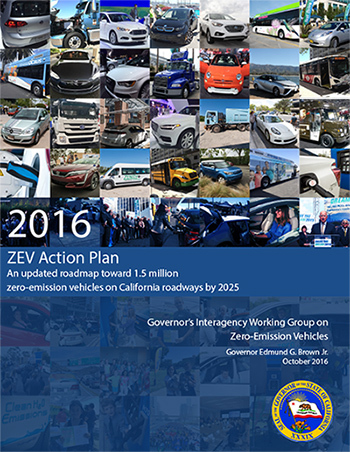 The 2013 ZEV Action Plan identified specific actions state government would take to meet the milestones of the Executive Order and 2016 Action Plan indentifies continued actions the State will take. The Action Plan placed plug-in and fuel cell electric vehicles on equal footing, includes targets for trucks and buses, and encourages collaboration with CaFCP and other public-private partnerships, and with environmental nonprofits. 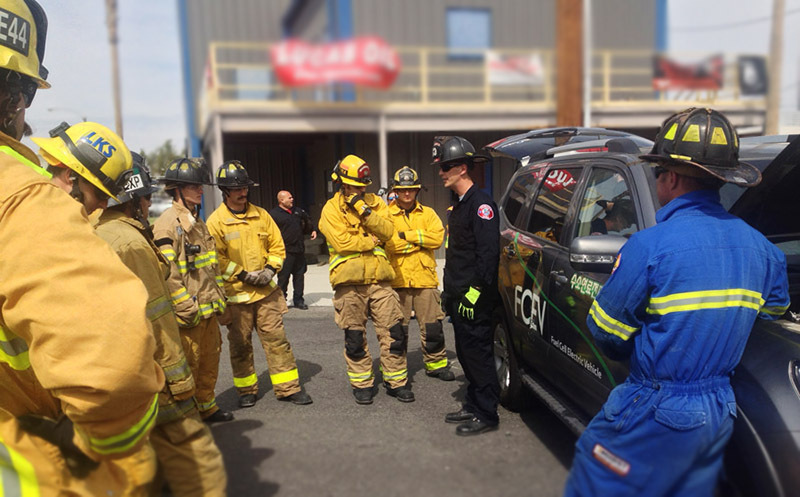 The California Office of the State Fire Marshal supported FCEV training for fire fighters since 2004, and incorporated FCEV information into state-wide educational materials. Recently, OSFM adopted NFPA 2, which along with the 2016 California Fire Code, is enforceable as of January 1, 2017. The GO-Biz ZEV Infrastructure Unit works closely with state agencies and local government to advance the ZEV market. The Hydrogen Infrastructure Project Team tracks and expedites the development of hydrogen stations and helps identify the state's supply chain to identify areas for further business engagement and growth in California. 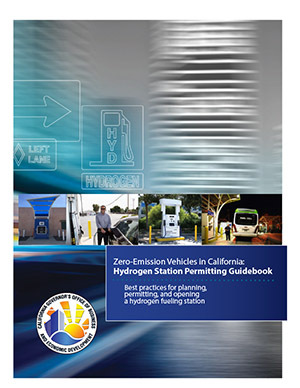 The Hydrogen Station Permitting Guidebook is the result of lessons learned that have decreased the time to permit and build a hydrogen station from years to months. California DMS passed standards for hydrogen quality and testing, metering, and dispenser certifications that enable hydrogen to be sold by weight as a retail fuel. NIST Handbook 44 is a reference for all state weights and measures agencies.